Paint Store :: Shop by Brand :: Duckback :: DUCKBACK DB-1440-4 SUPERDECK WOOD CLEANER SIZE:1 GALLON. 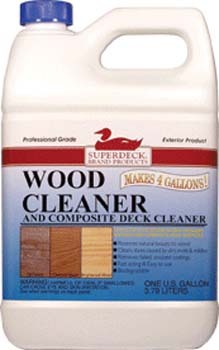 DUCKBACK DB-1440-4 SUPERDECK WOOD CLEANER SIZE:1 GALLON. MINWAX 24444 SEMI GLOSS POLYCRYLIC SIZE:1/2 PINT. MASTERCHEM 20041 KILZ 2 SIZE:1 GALLON. MAJIC 8-0072-1 GOLDEN BROWN INTERIOR EXTERIOR OIL BASE FLOOR PAINT SIZE:1 GALLON. KRYLON K08818000 SPRAY DUAL PAINT + PRIMER IN ONE GLOSS SMOKE GRAY SIZE:12 OZ. SPRAY PACK:6 PCS. WOOSTER 4233 ALPHA VARNISH BRUSH SIZE:2" PACK:6 PCS. CABOT STAIN 17607 250 VOC COMPLIANT DEEP BASE SOLID OIL DECKING STAIN SIZE:1 GALLON. SHEFFIELD 6745 COPPER EXTERIOR/INTERIOR METALLIC ENAMEL SIZE:1 GALLON.